Our analysis of hardest and easiest ironman distance triathlons considers the differences from year to year in racing conditions, and makes appropriate adjustments as necessary to the overall ranking. The difference between Ironman Louisville 2009 and 2010 merited such an adjustment. 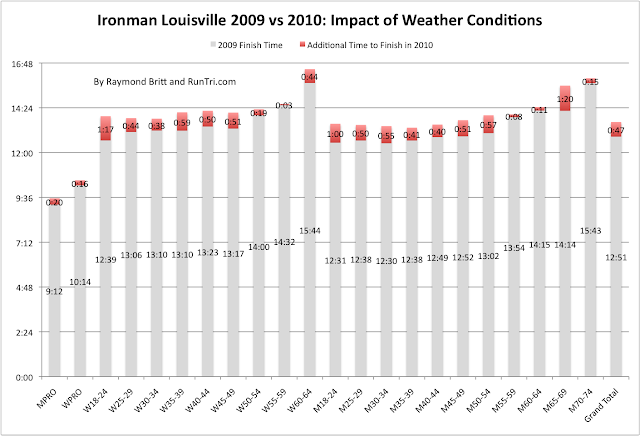 This year's stifling heat in Ironman Louisville led to an increase in the average finish time by 45+ minutes. Most of the change was in marathon times, resulting in the remarkable differences shown here. 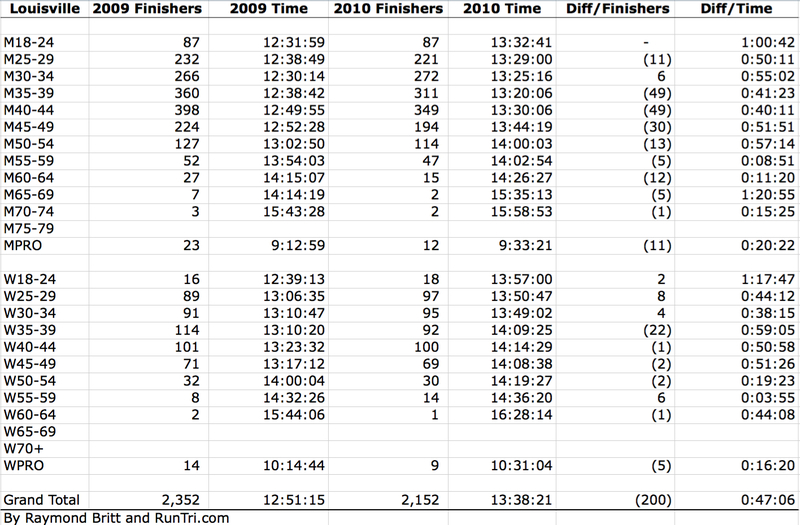 One outlier: W55-59 -- from 8 to 14 finishers, 2009 vs. 2010, nearly the same average time. 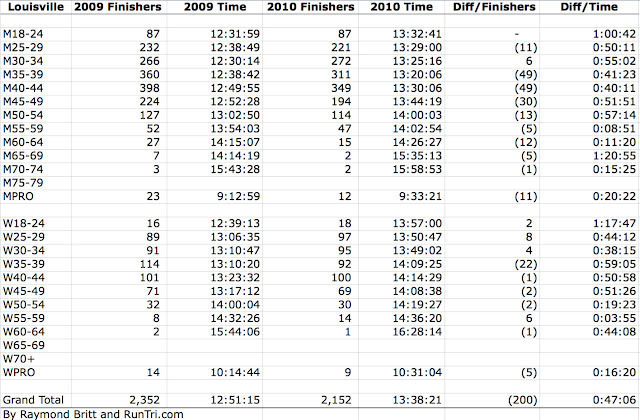 Also see Correlation Between Bike and Run Splits 2009 vs. 2010 and North American Ironman DNF Analysis.